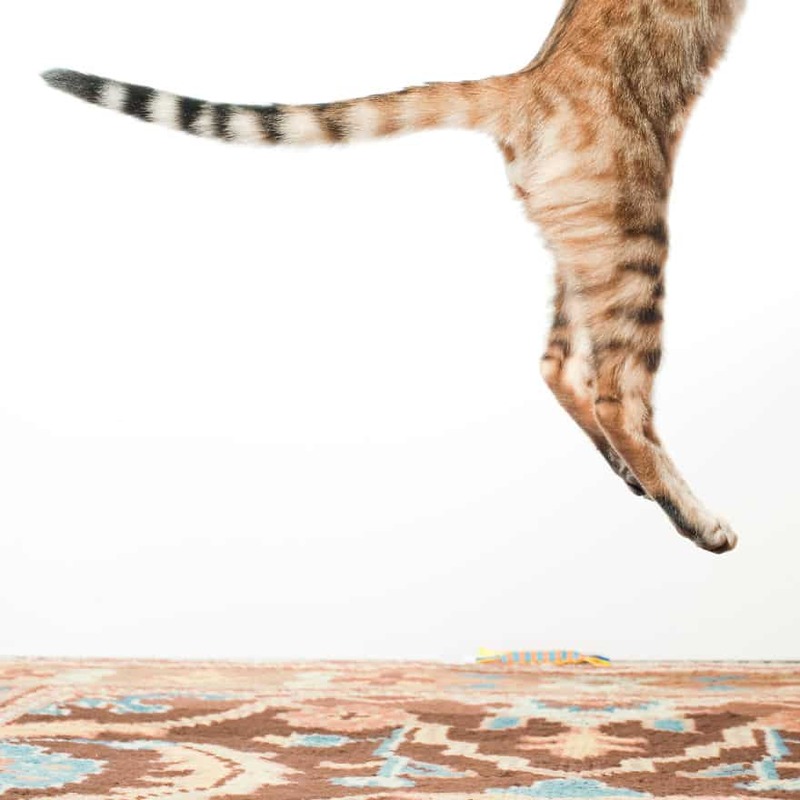 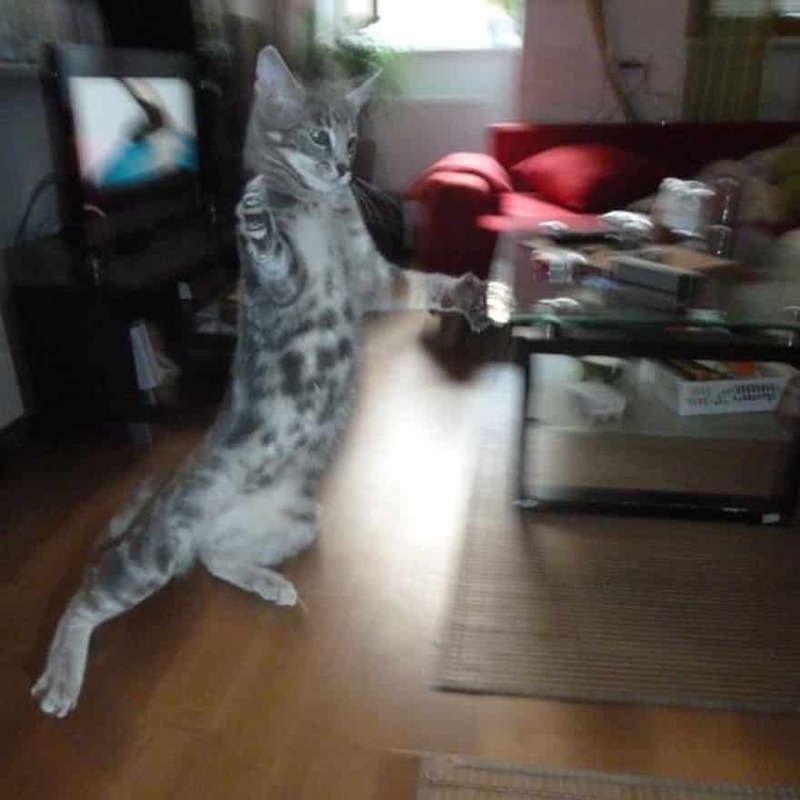 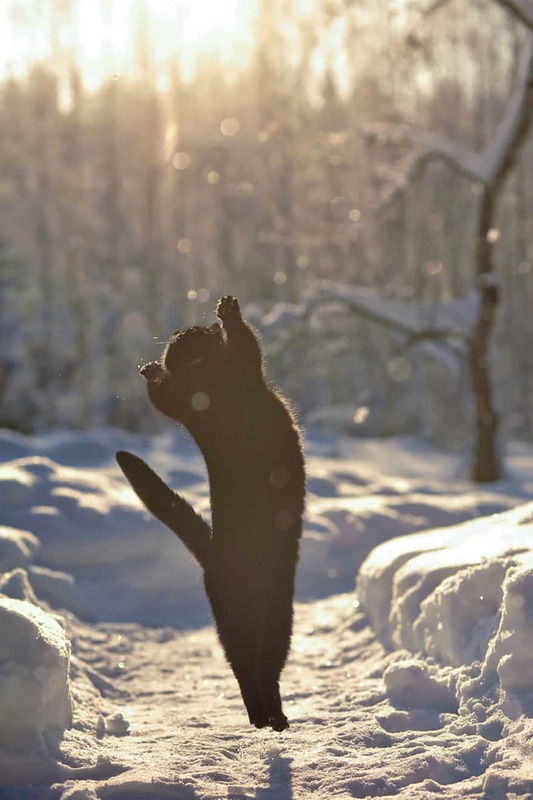 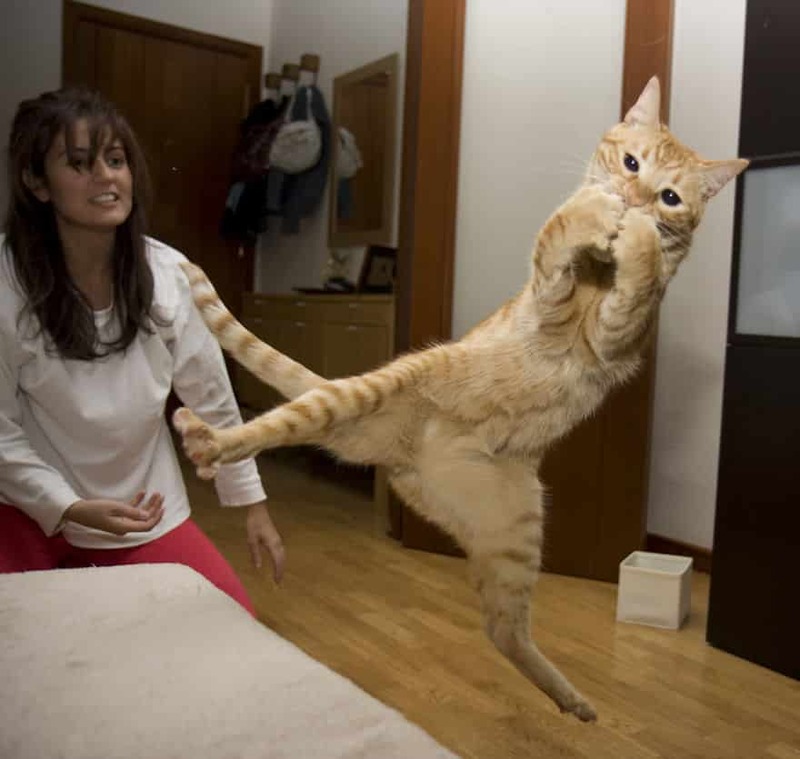 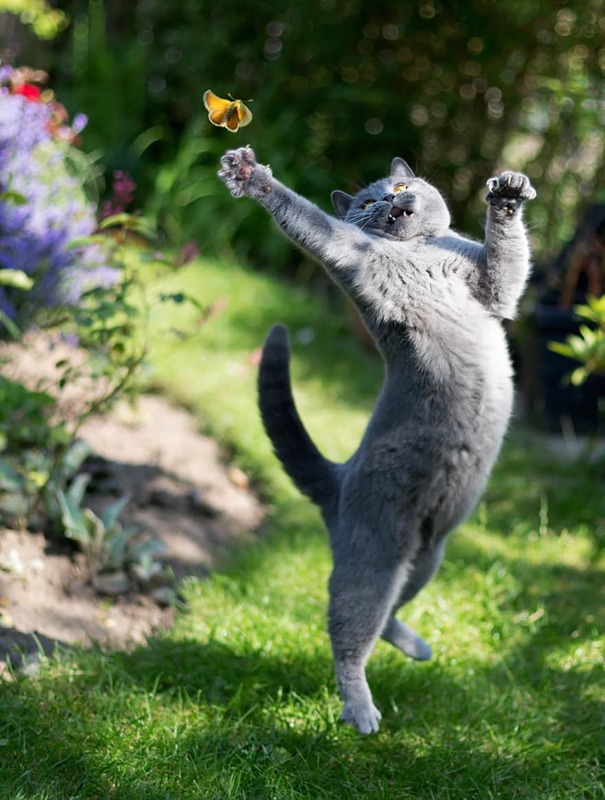 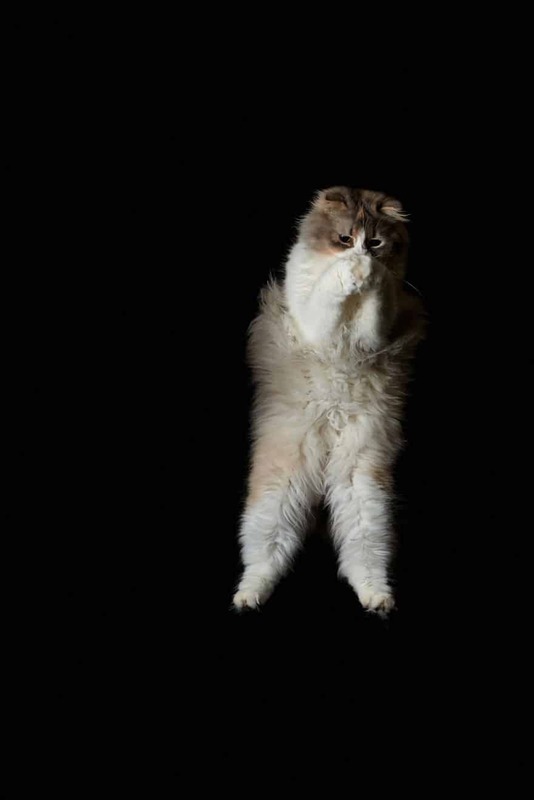 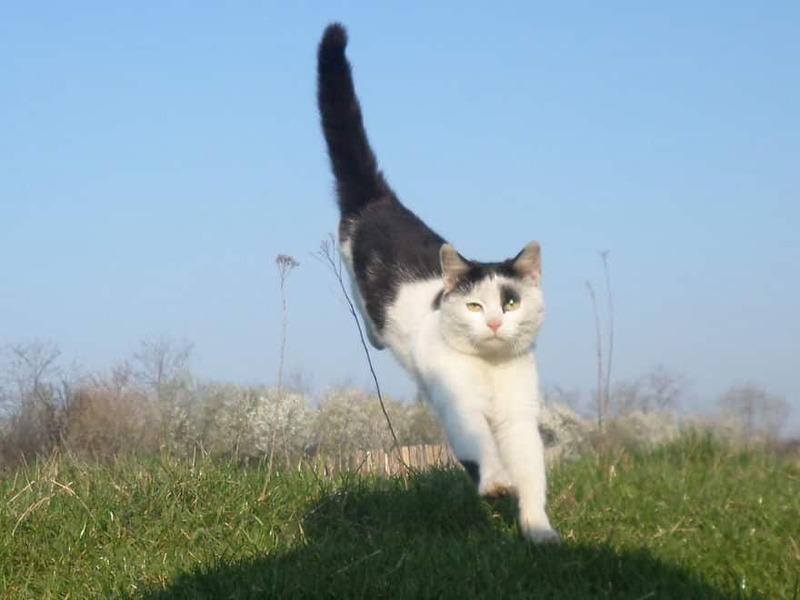 Cat lovers know that cat’s showcase beautiful poise and elegance when leaping into the air, jumping and playing. 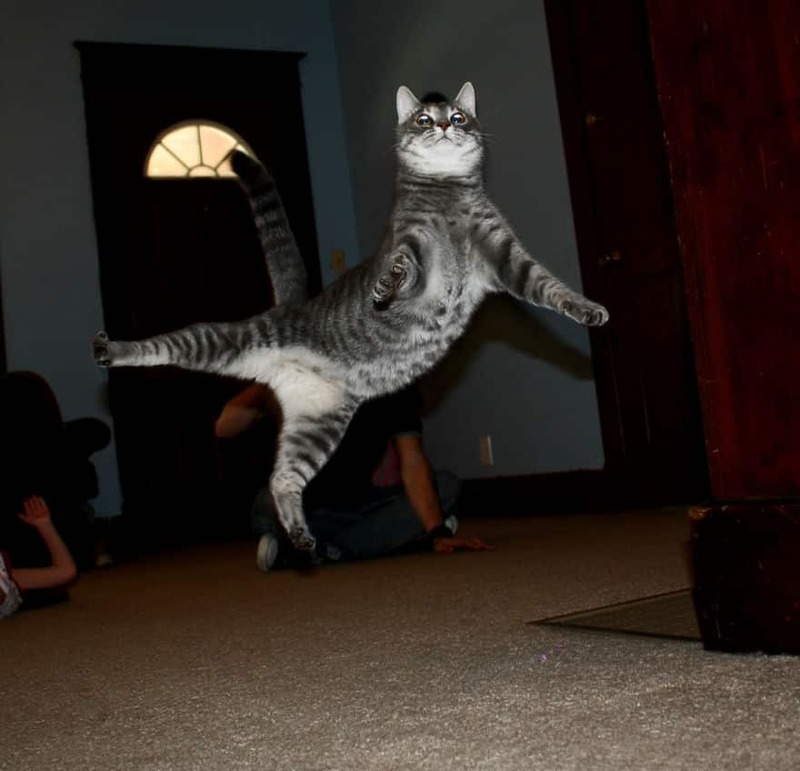 They always manage to land on their feet and showcase spectacular balancing an great athleticism that humans would kill for! 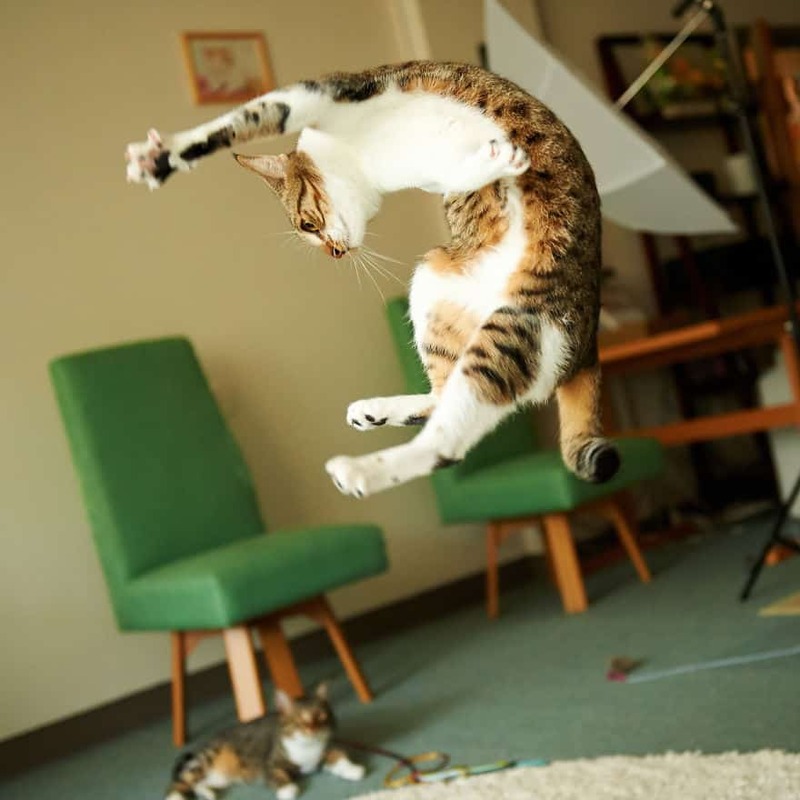 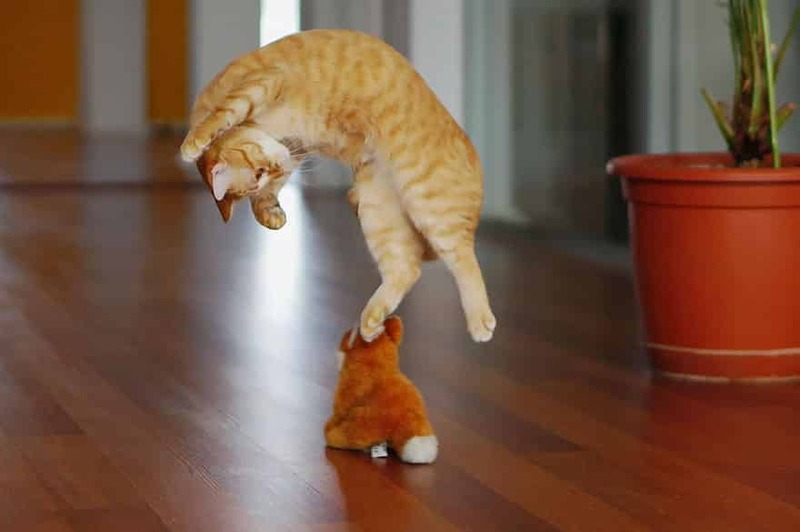 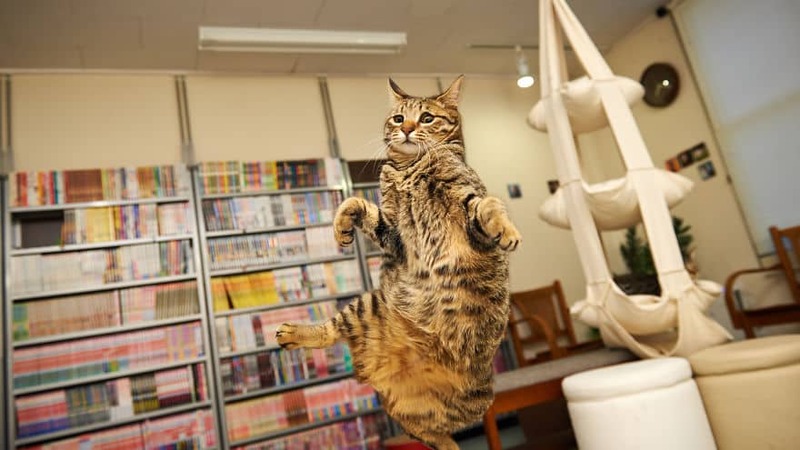 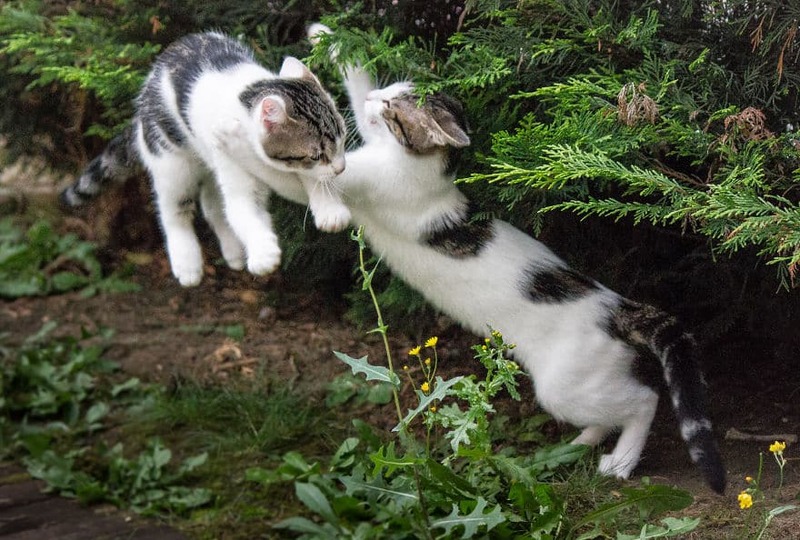 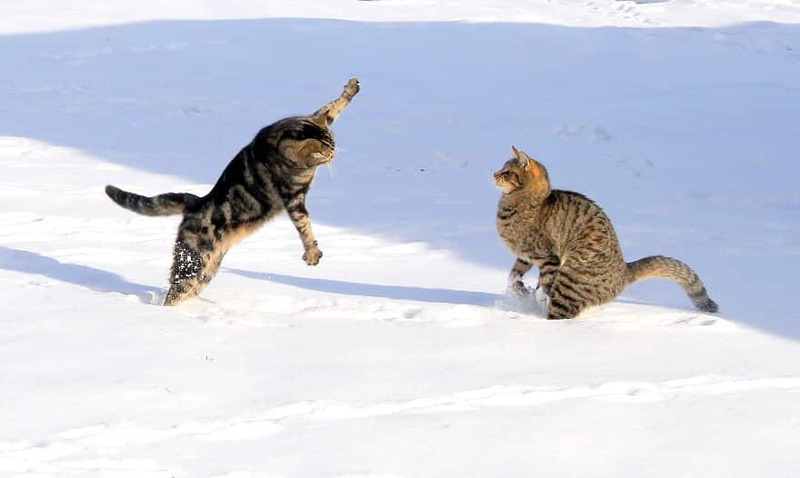 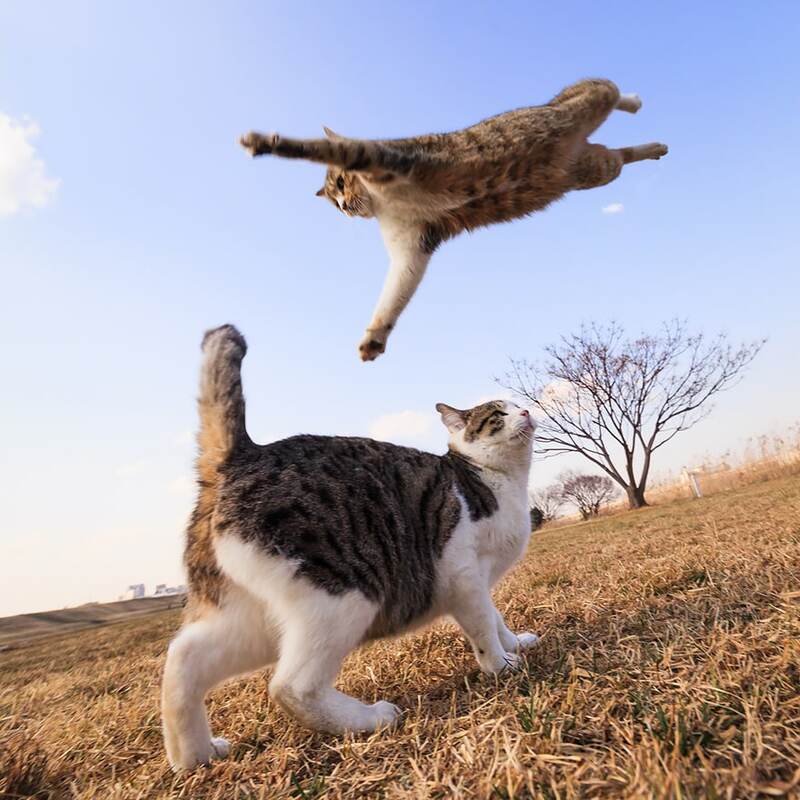 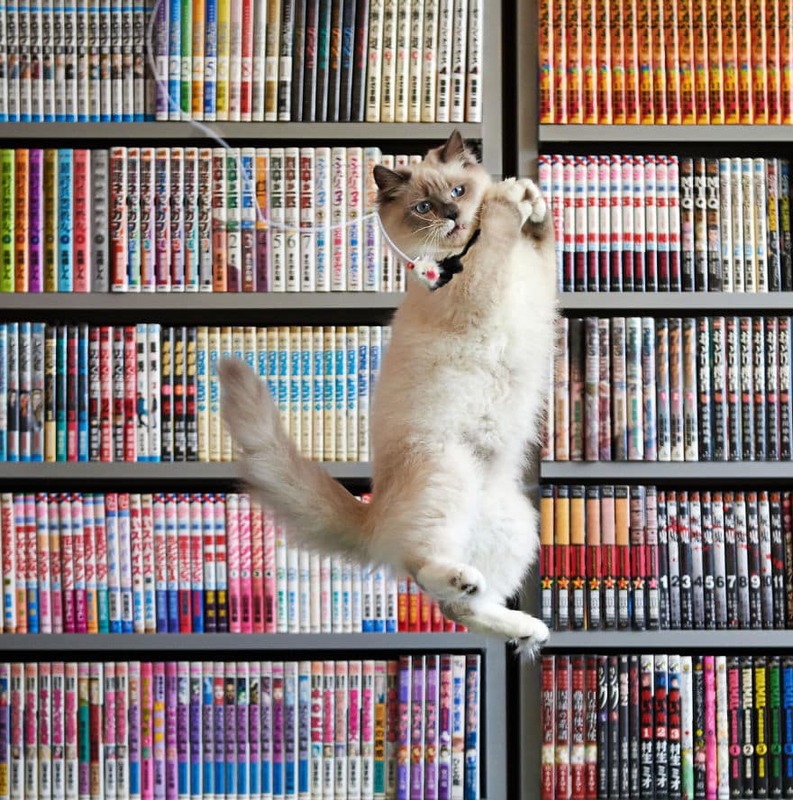 TheseÂ 52 Jumping Cats At Play Look Like Ninjas showcase the beauty of cats when they do what they love best, which is playing with their kitty friends! 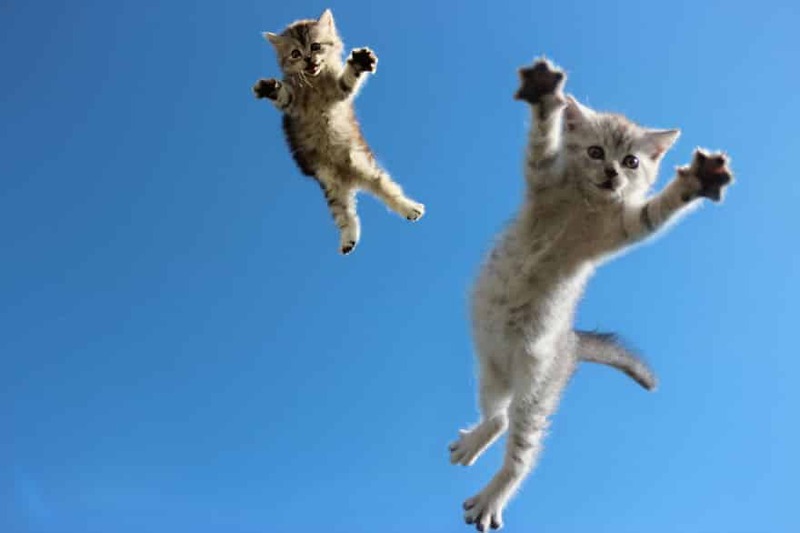 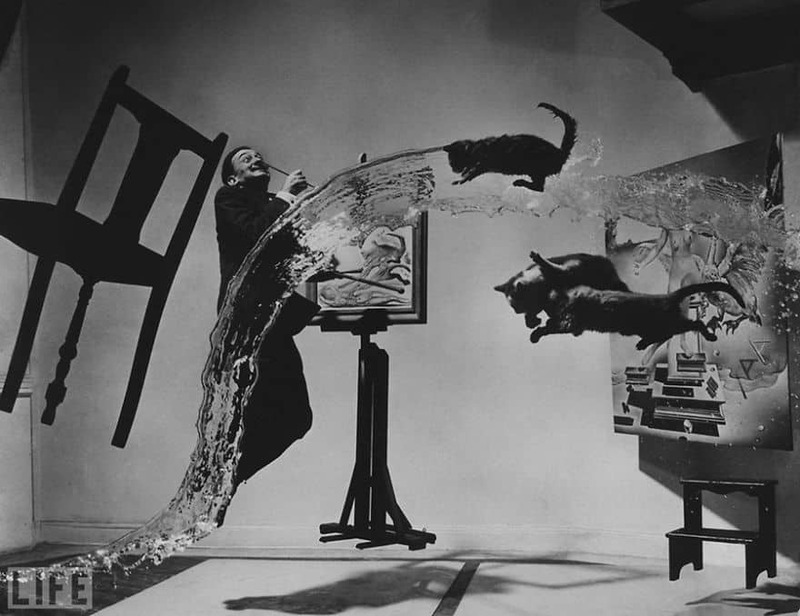 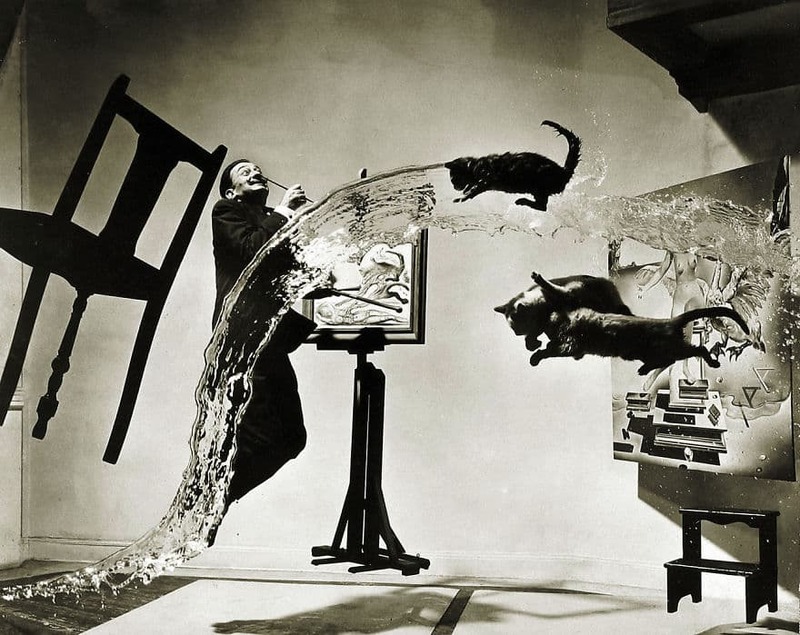 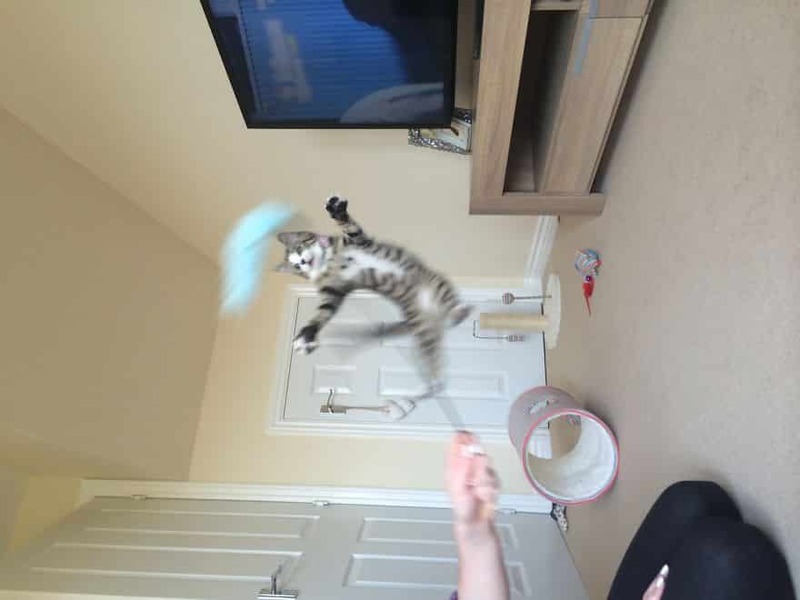 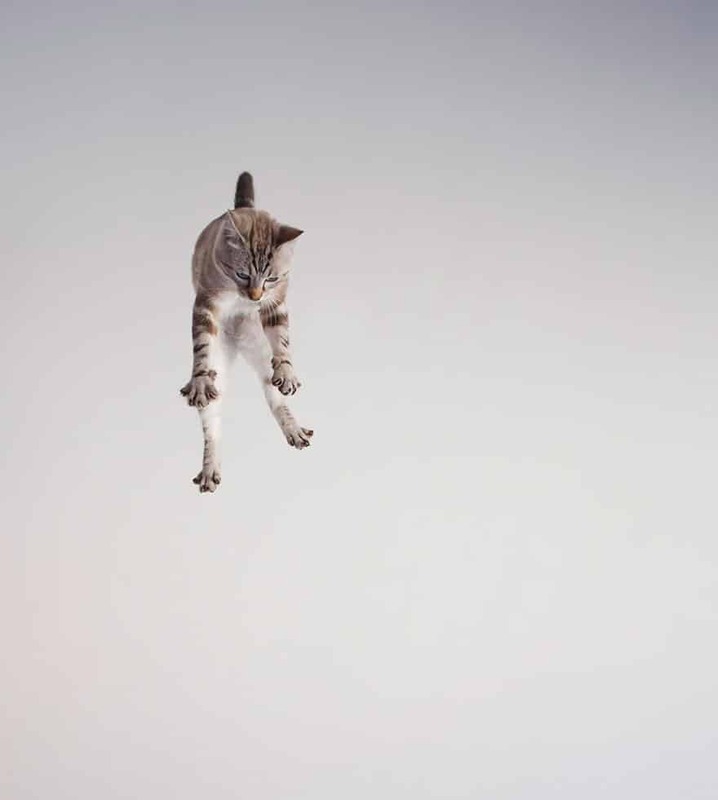 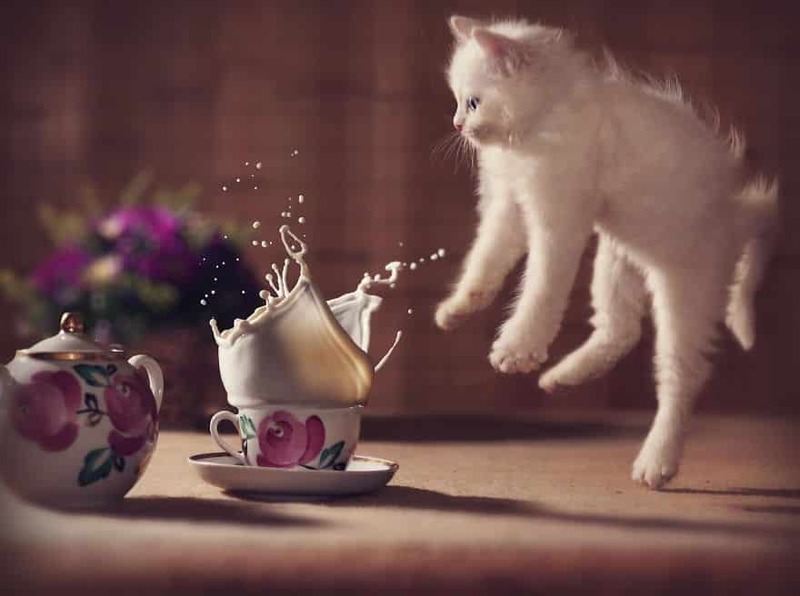 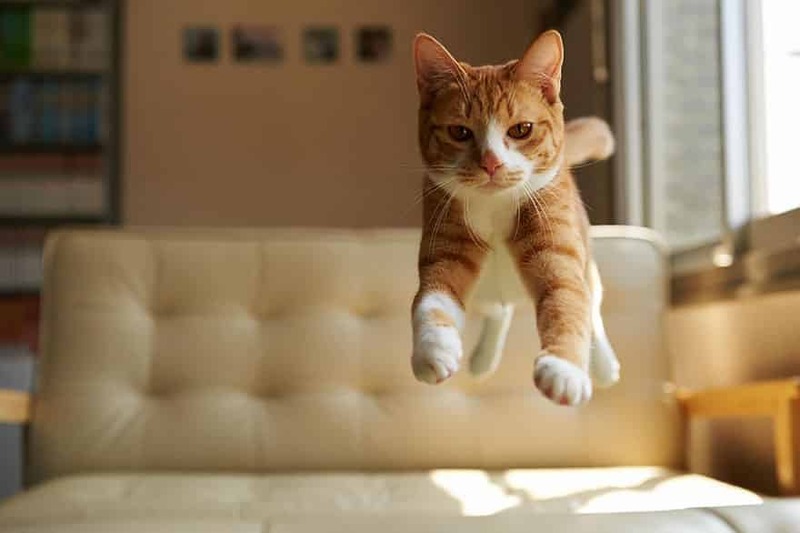 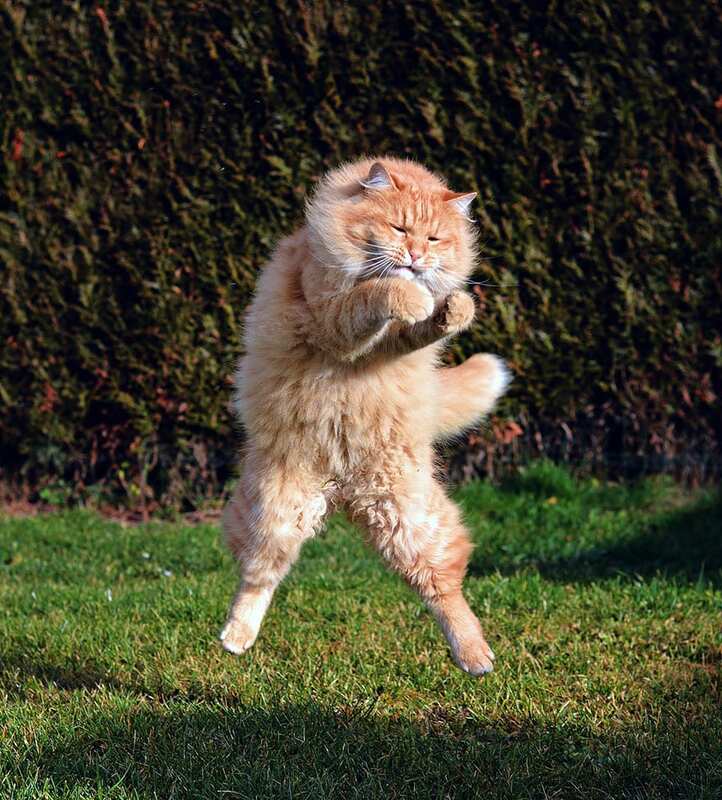 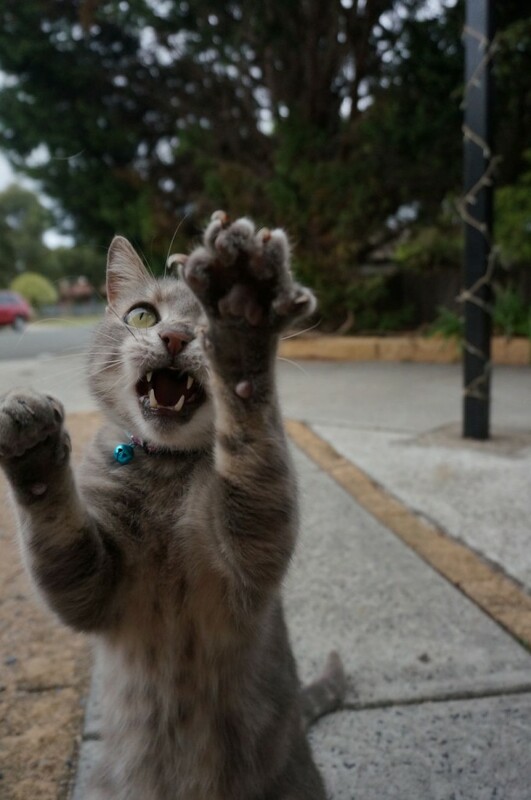 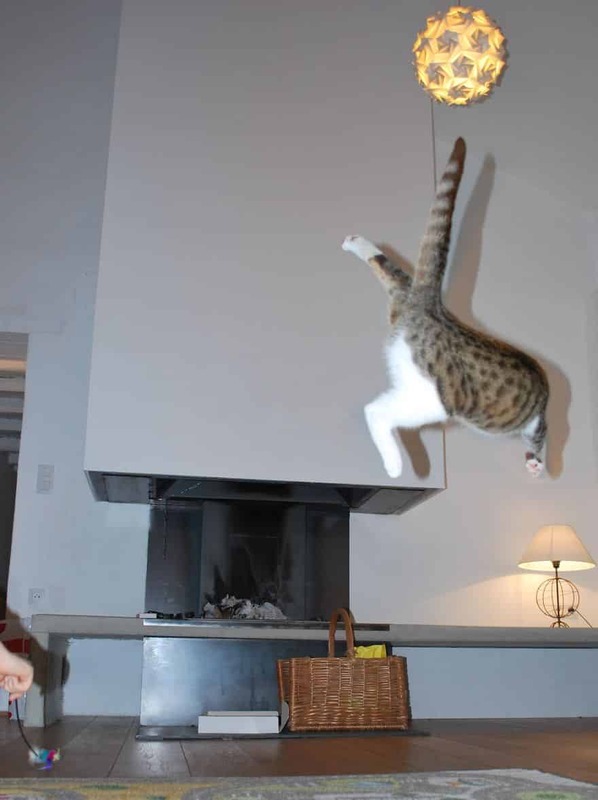 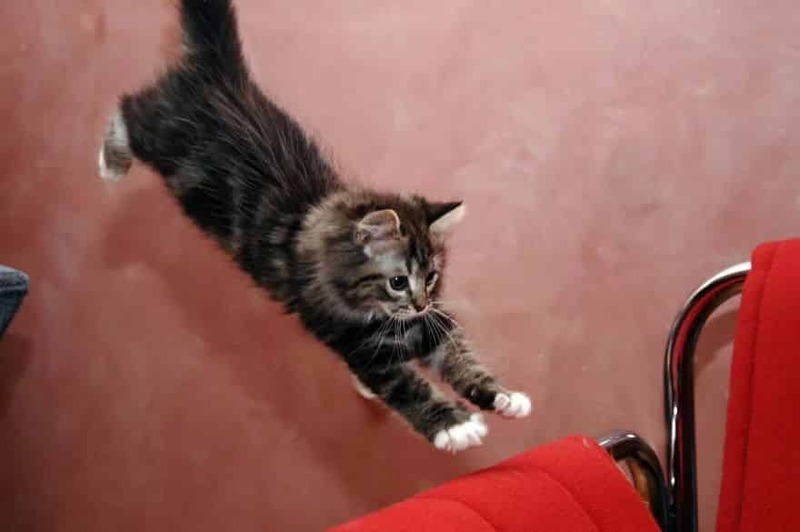 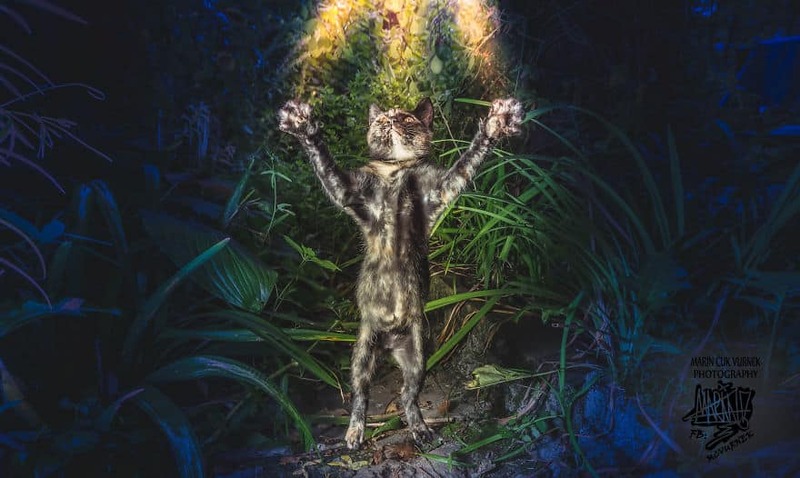 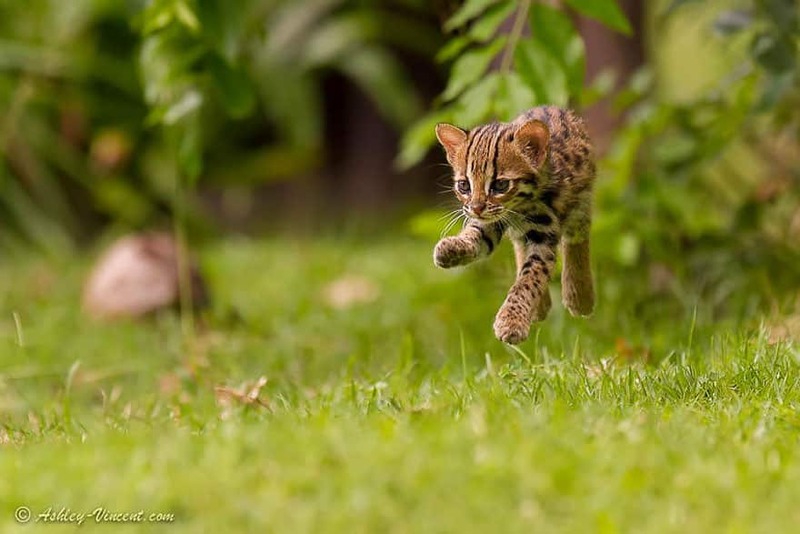 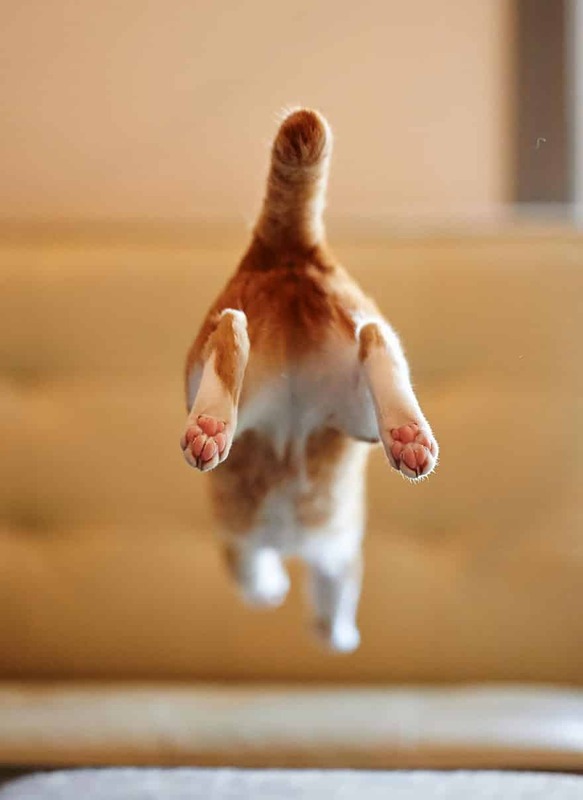 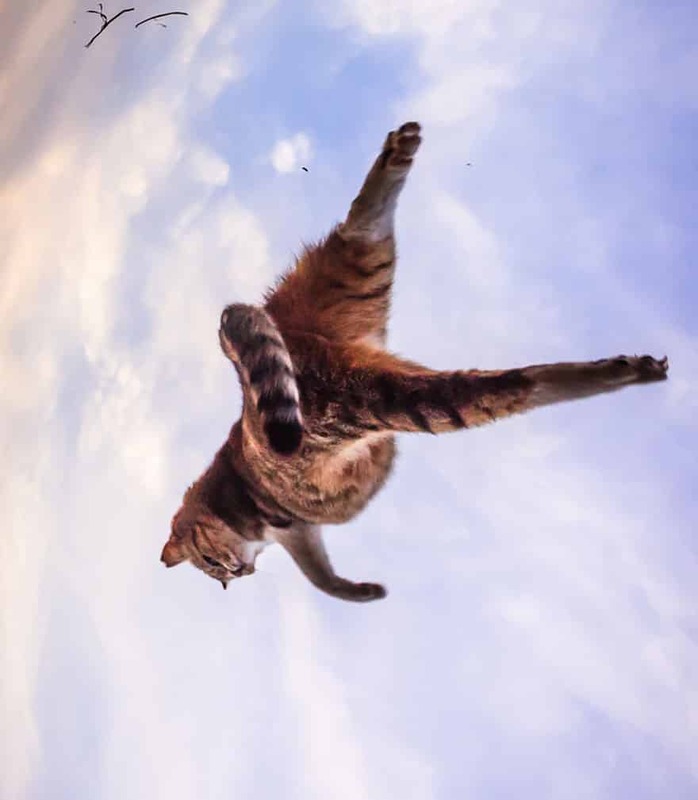 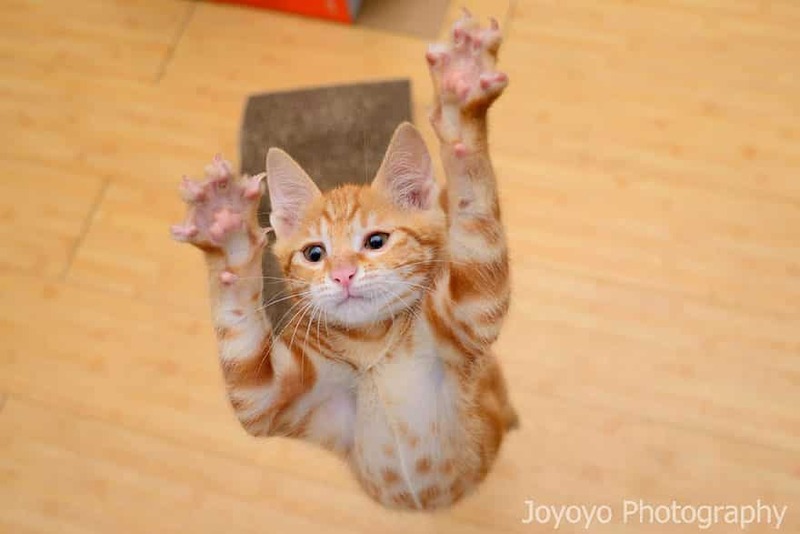 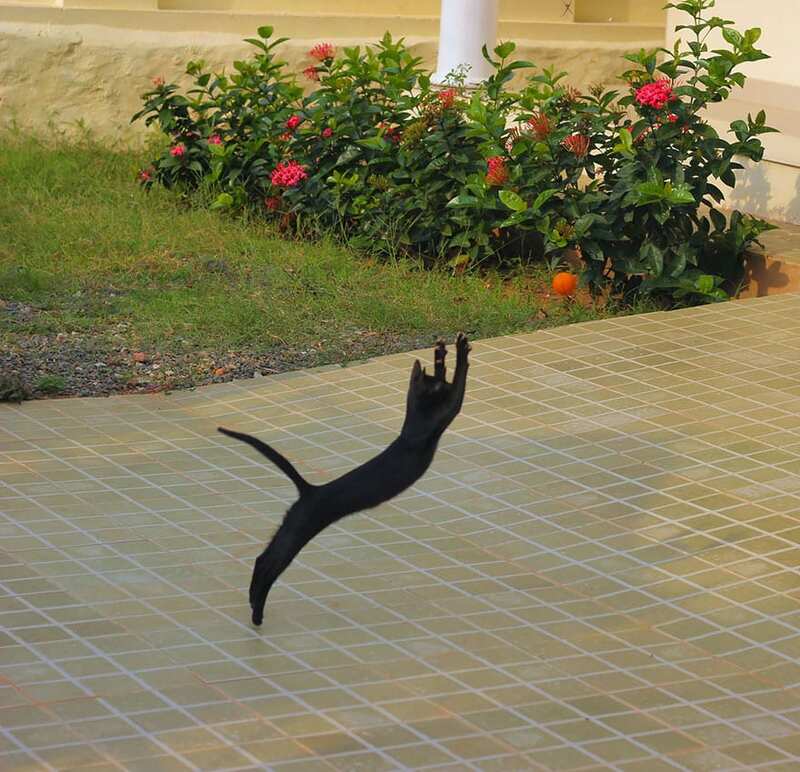 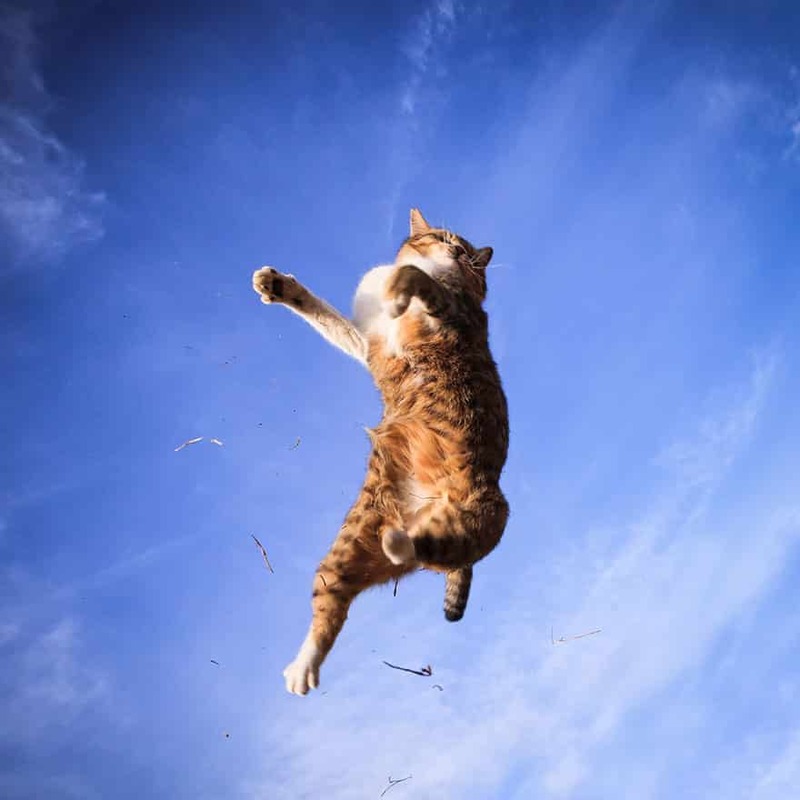 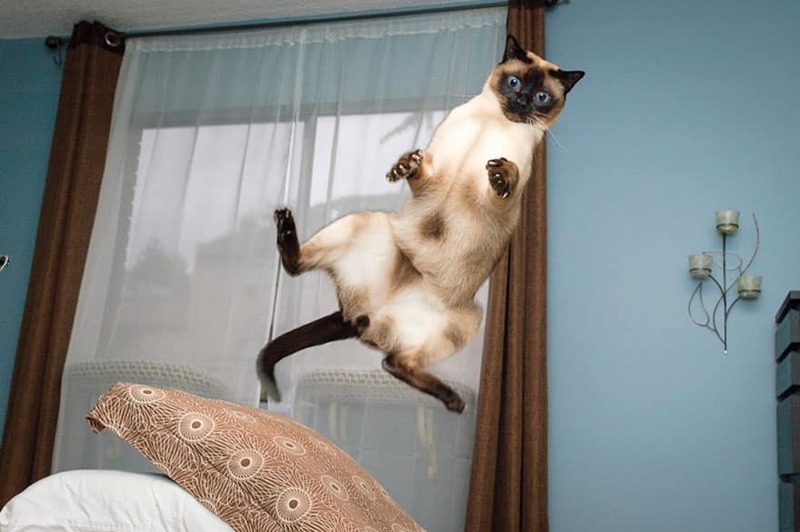 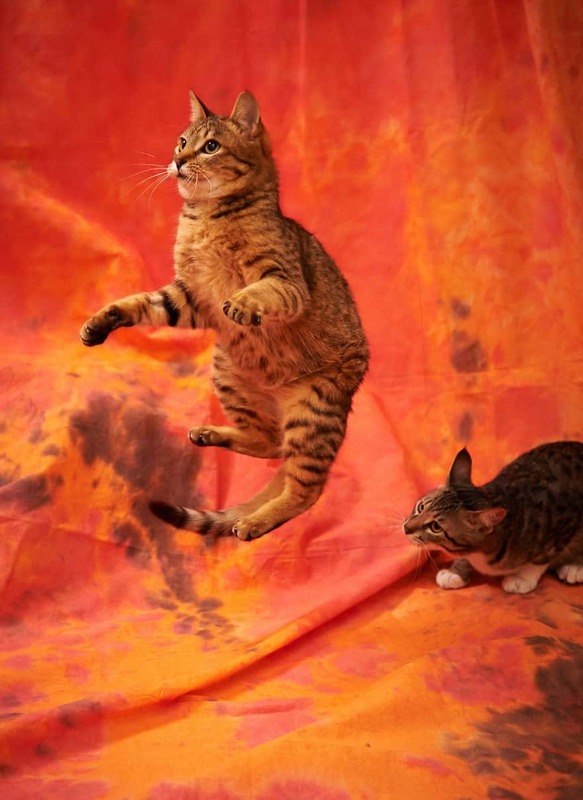 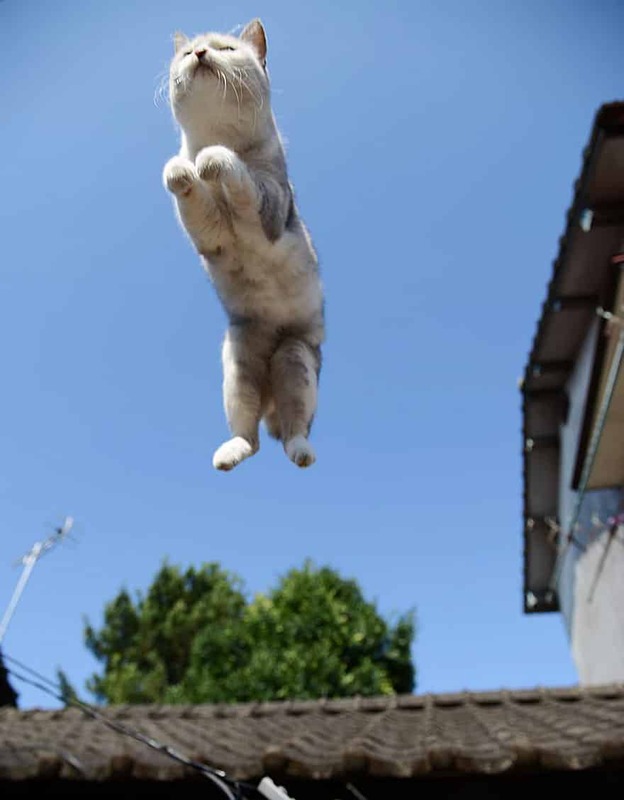 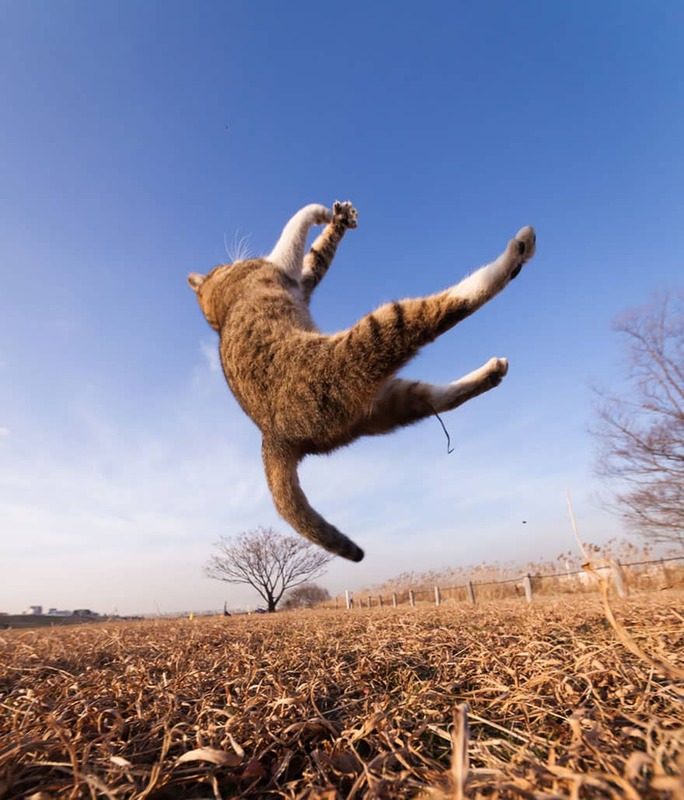 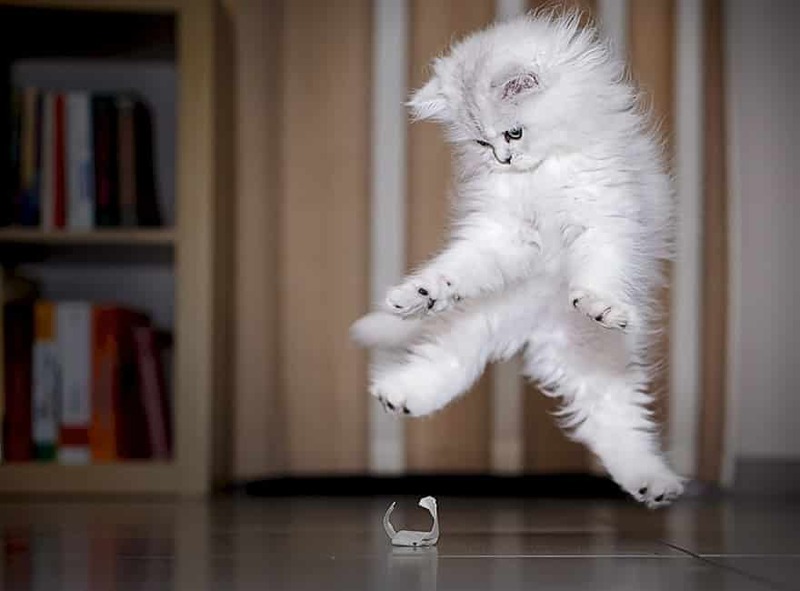 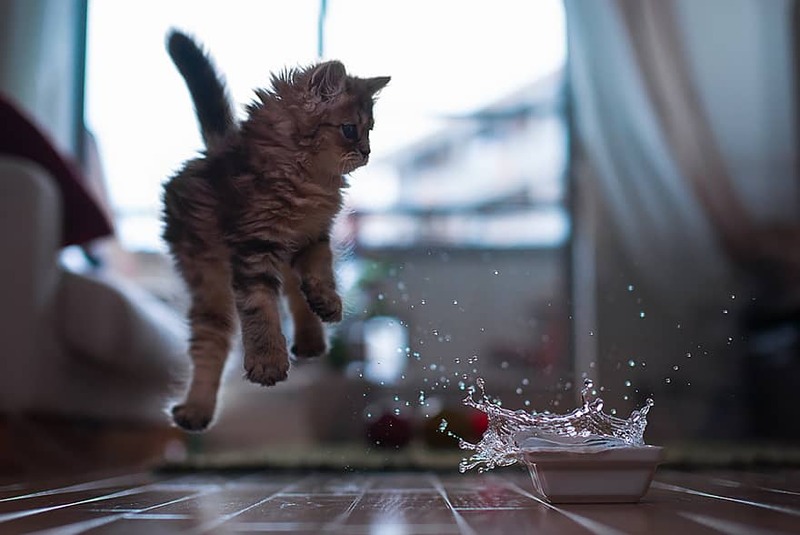 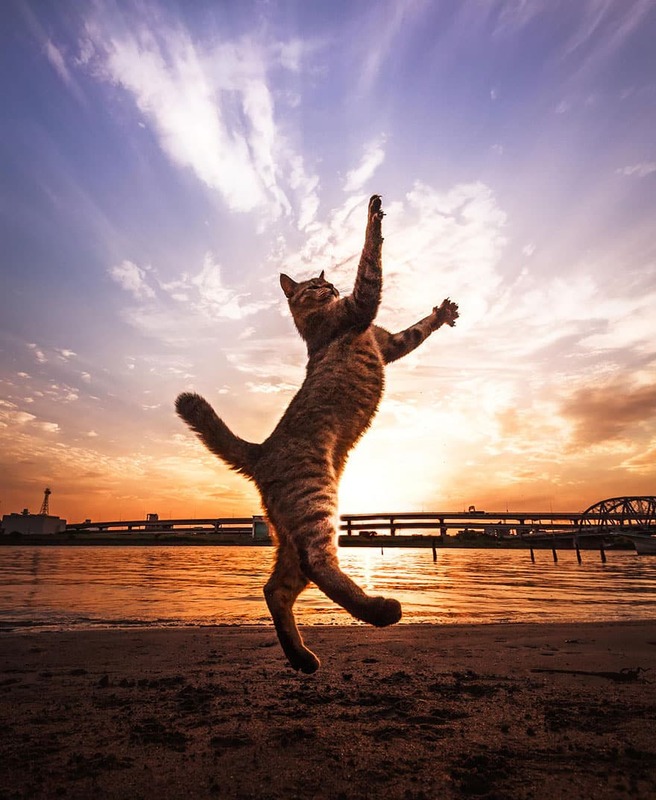 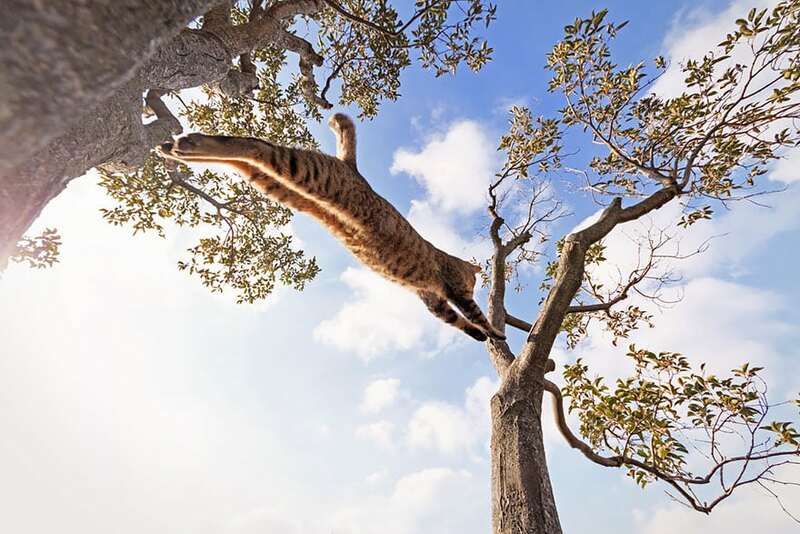 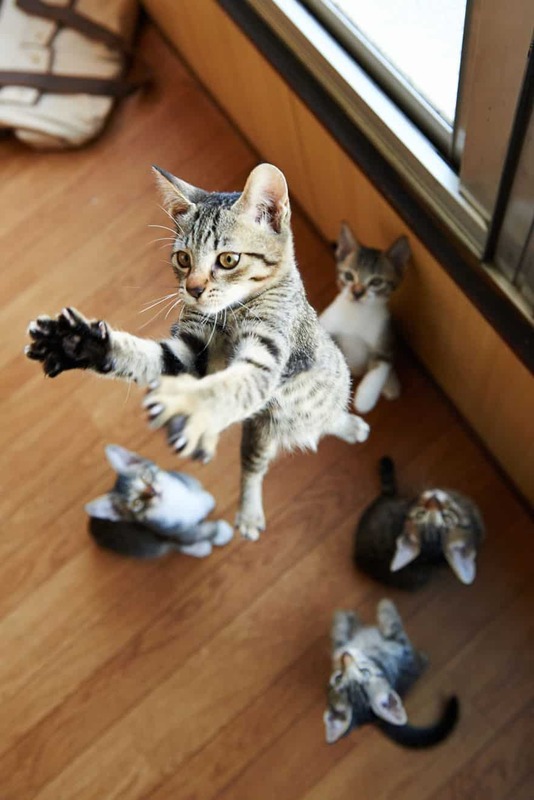 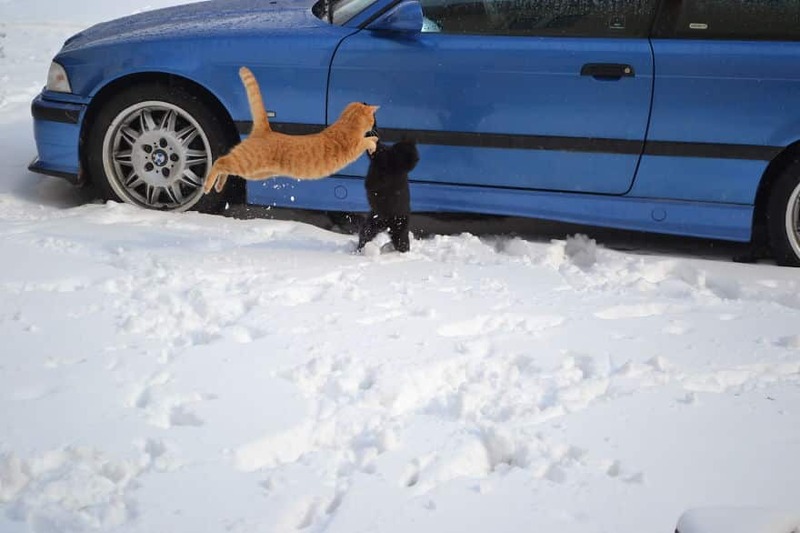 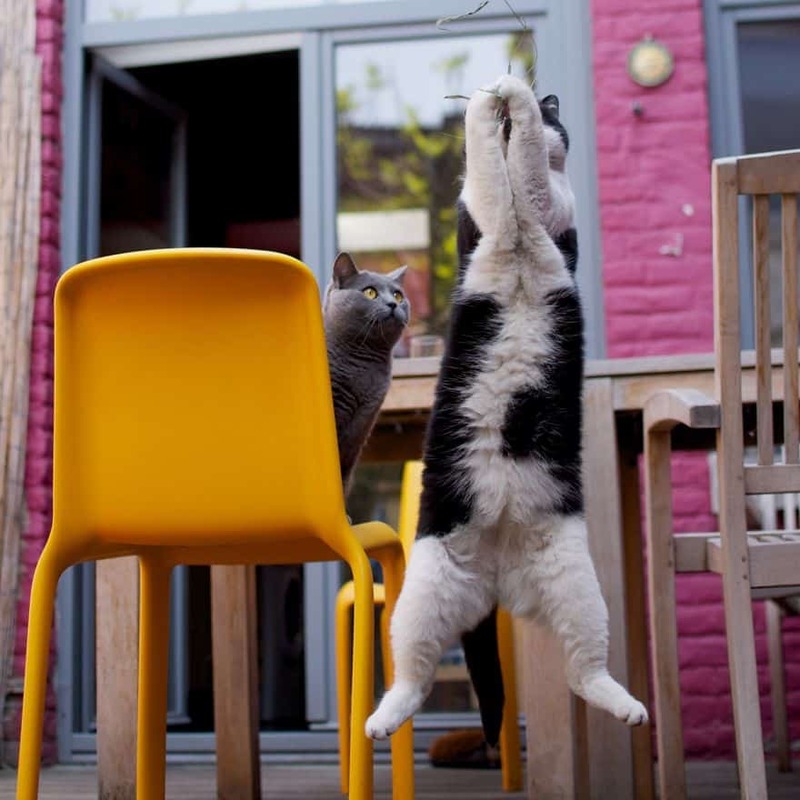 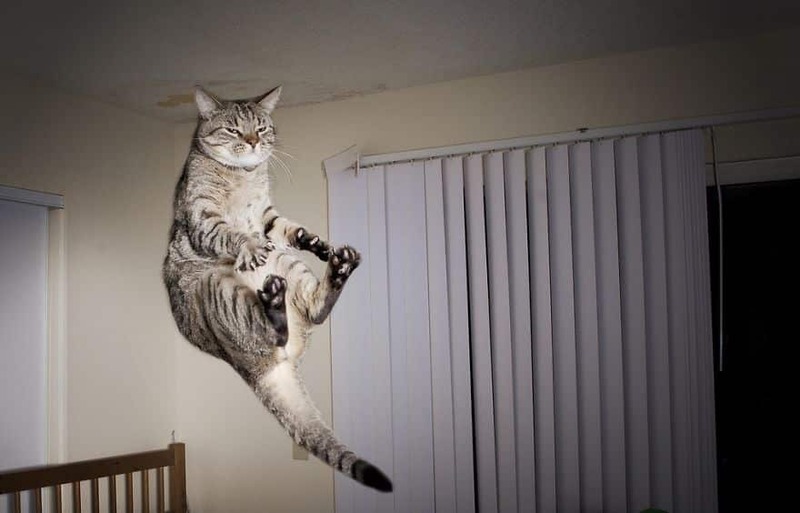 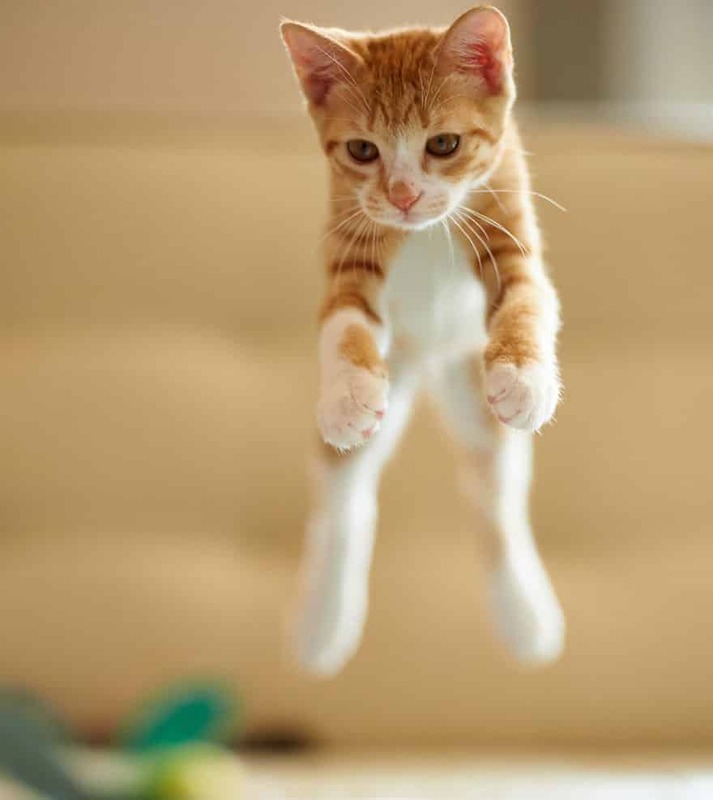 Did you know that some cats can jump up to five times their own deight in just one leap? 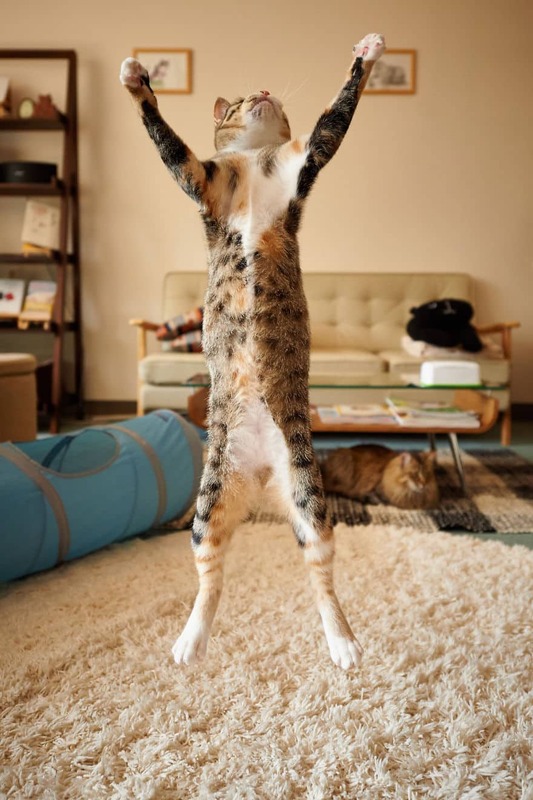 Itâ€™s true. 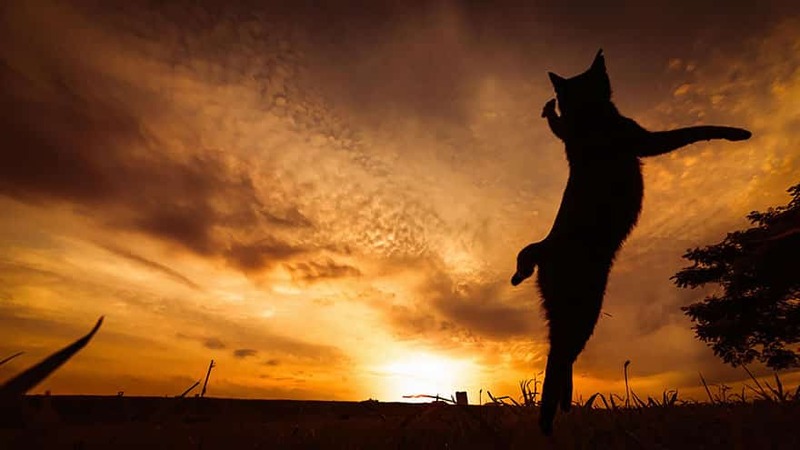 What does that mean for a cat owner? 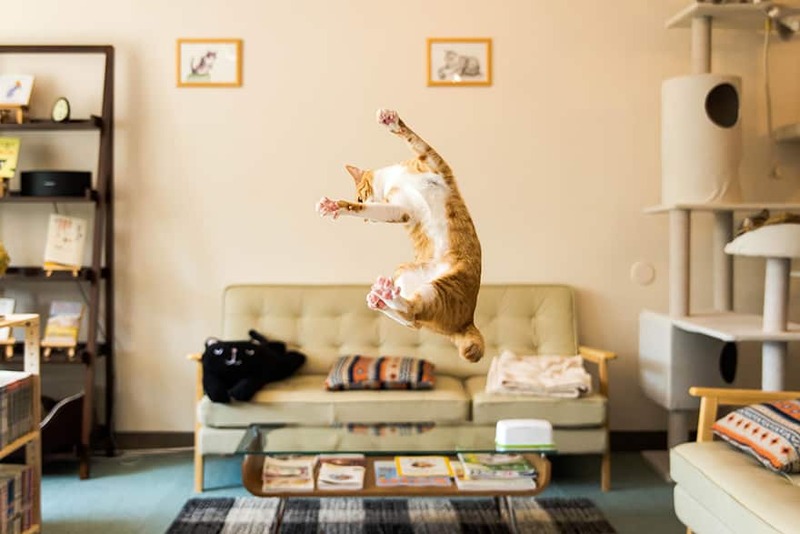 Make sure fragile breakables are stored out of harmâ€™s way: Opt for china cabinets with closing doors or enclosed display cases to protect heirlooms and collectables from an acrobatic cat. 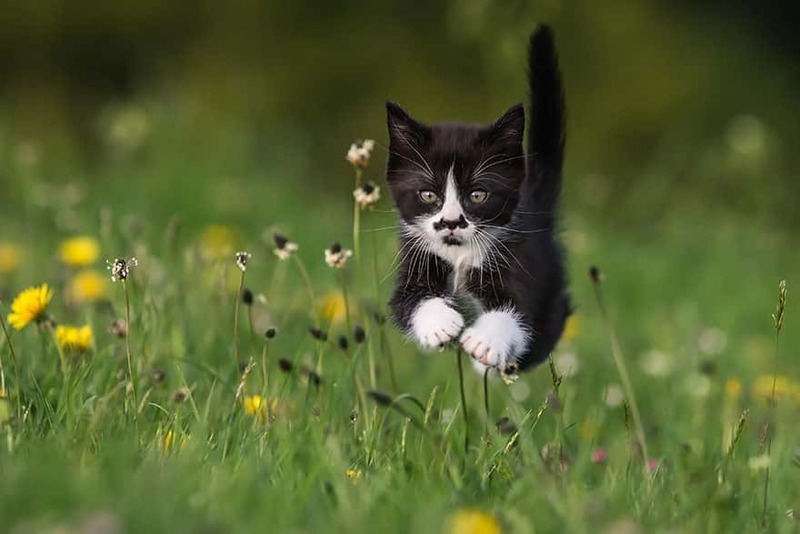 Read More facts about cats here. 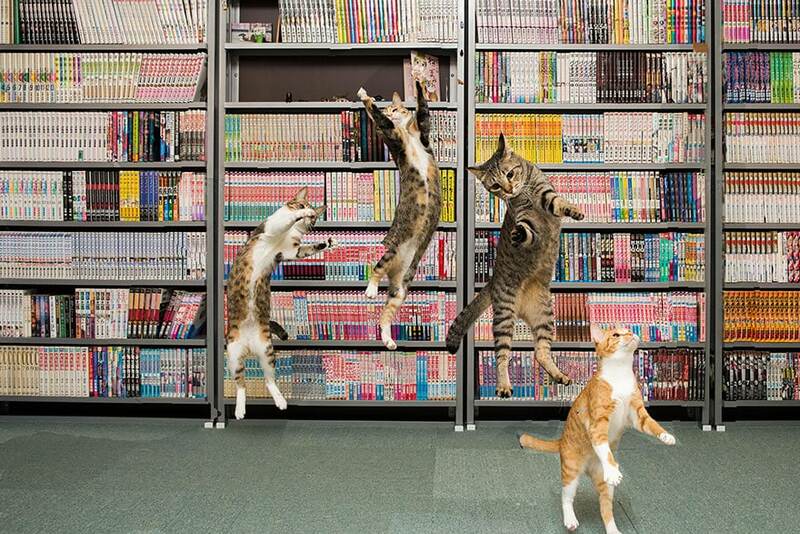 Origianal source viaÂ Bored Panda.